7 days a week with FREE Delivery Mon-Sat when placed before 7pm. Next day cut-off is 10pm (Mon-Fri). 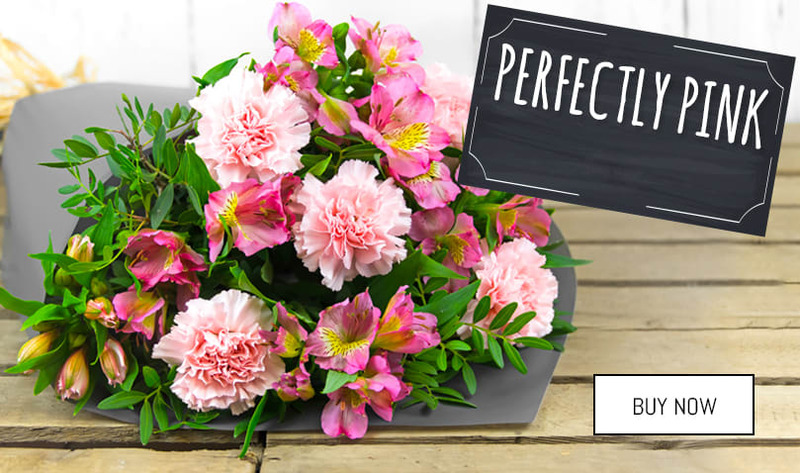 Show someone how special they are with this gorgeous arrangement. 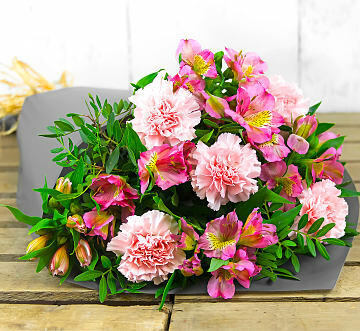 A delightful arrangement of Spray Carnations and Peruvian Lilies with dashes of gypsophila. 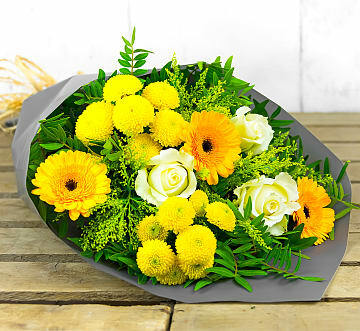 Stunning yellow Chrysanthemums, Peruvian lilies and Cerise carnations! 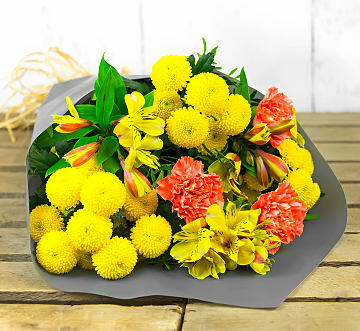 Chrysanthemum blossoms and Peach Roses with solidago, perfect for any occasion. 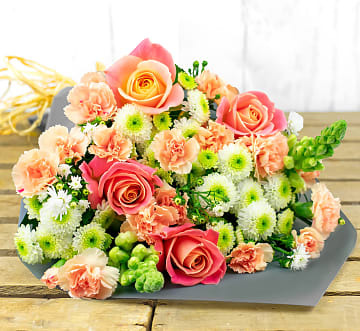 Stunning peach bouquet inspired by the fresh Spring countryside! Beautiful selection of Roses and Gypsophila, perfect for any occasion. 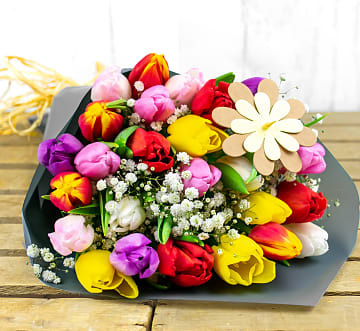 Bright British Tulip bouquet made to make anyone's day! 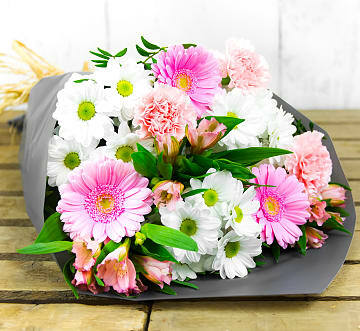 A joyful arrangement of cerise carnations, germinis and chrysanthemums. Avalanche roses, germinis and solidago make a bright Summer bouquet. 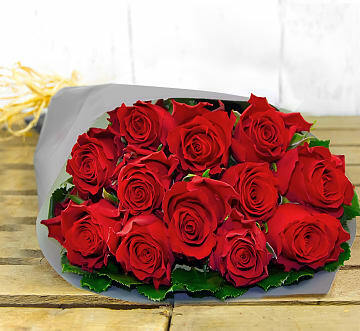 12 luxurious Rodos Roses perfect for romantic occasions. Glorious germinis and chrysanthemums beautifully presented. 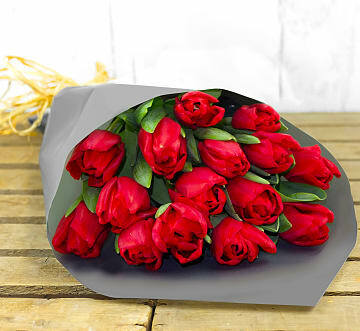 This bouquet featuring beautiful, red blushing Tulips is perfect for any occasion. 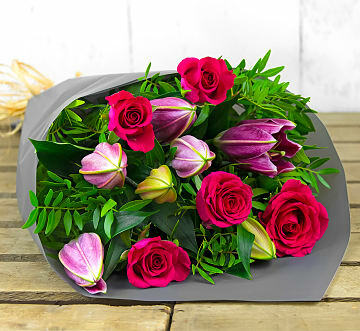 Our best selling long stemmed lilies with memory roses make a stunning bouquet. 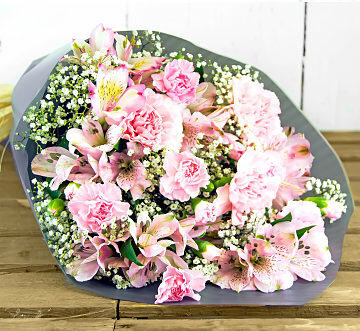 Memory land roses and Peruvian lilies make an extra special bouquet. 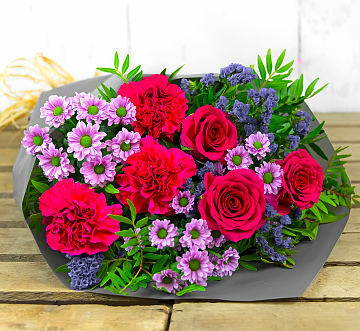 Zantini Chrysanthemums with deep water roses and cerise carnations. 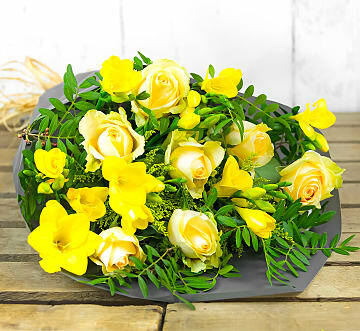 Stunning fragrant freesias and La Belle roses makes beautiful arrangement. 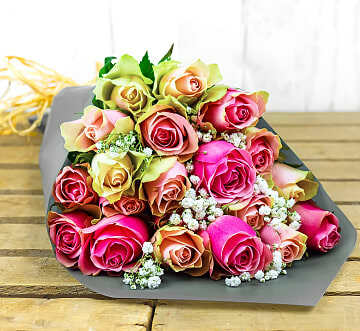 Mango roses, germinis and carnations beautifully hand tied for you. 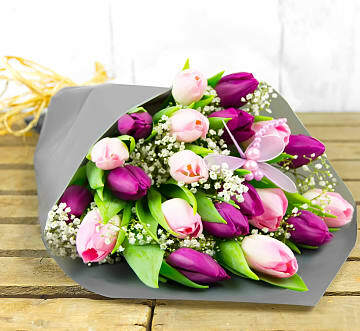 A bouquet featuring beautiful pink and purple Tulips. 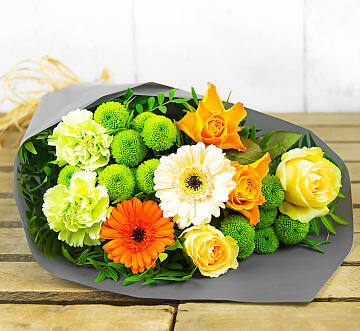 Fresh from our growers in Holland and delivered perfect for any occasion. 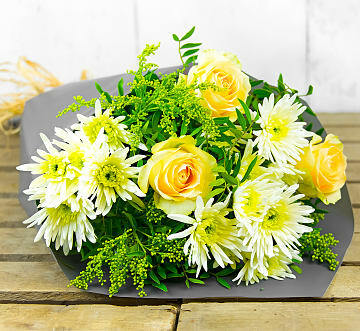 Our stunning range of affordable hand-tied flowers include free delivery when placed before 7pm. 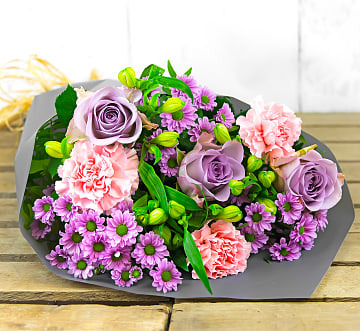 Our next day flowers are hand-picked direct from growers ensuring you cheap flowers that your recipient will love with the freshest & most high quality stems. 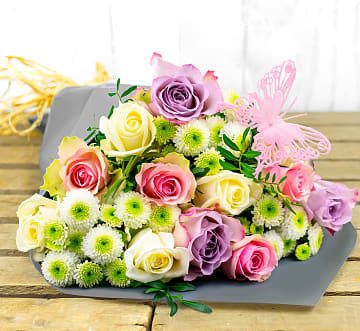 Picked from the best of the crop and lovingly arranged by our highly skilled florist you will love 123 Flowers. 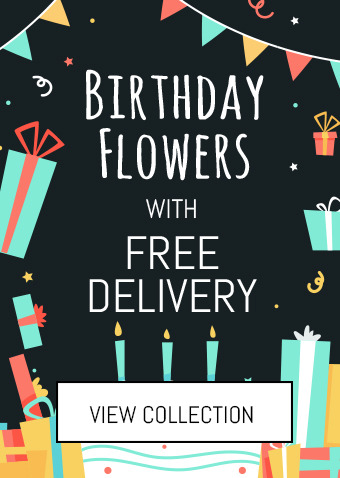 We cover the whole of the UK with next day delivery possible when placed before 10pm and free flower delivery available before 7pm.